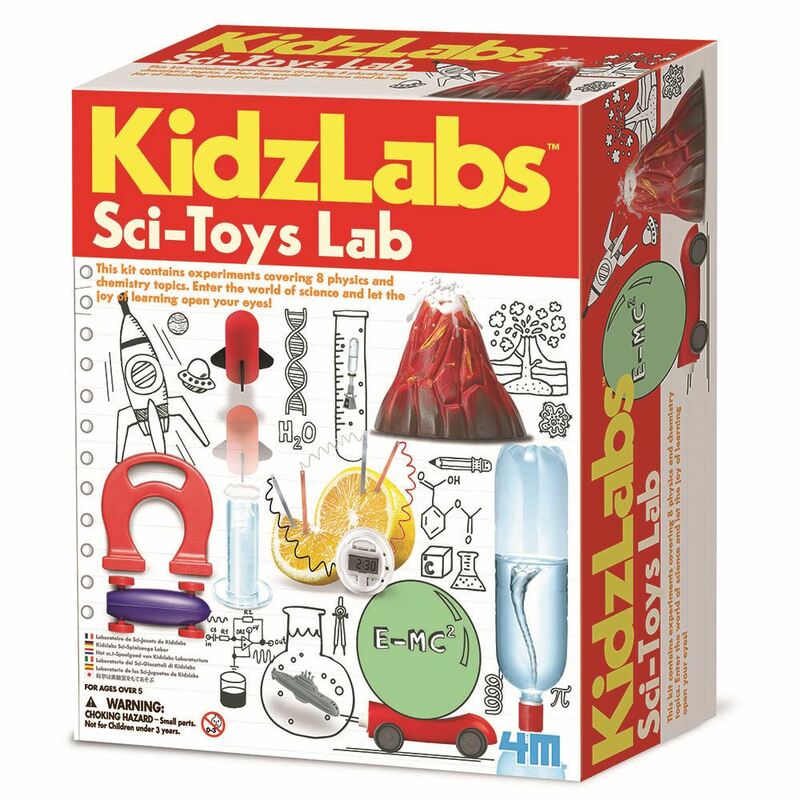 Complete eight physics, chemistry and mathematic experiences with the 4M Science Toys Lab kit. Power an LED clock with a lemon, make a volcano erupt in your palm and recycle two bottles to make a giant tornado on your table-top. Have fun while you learn about the scientific principles behind forces, pressure, chemical electricity and more! Includes: a pocket volcano, diving submarine, mind reading cards, micro rocket with launching pad, diving octopus, an LED clock with wires, tornado maker, cosmic jet racer with balloon and mouth piece and detailed instructions. Required: vinegar, baking soda, baking powder, bath fizzer, clean drinks bottles and lemon (not included). Age 8+ years. Part of the KidzLabs range. Distributed in New Zealand by Holdson.